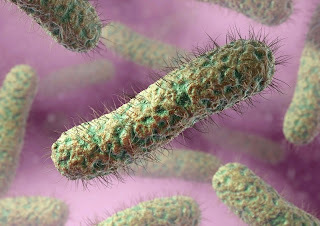 Scientists have discovered that the SIGIRR protein protects the beneficial bacteria in the gut (known as Gut Flora) from toxins and substances that can cause food poisoning and bowel inflammation. The Single Ig IL-1-Related Receptor (SIGIRR) is a protein encoded by the SIGIRR gene in humans. The human body carries over a thousand species of bacteria. Most of these can be found in the human intestinal tract or the gut. These bacteria, collectively called Human Gut Flora comprises about 500 species and is beneficial to the body. Gut flora performs important functions such as fermenting unused energy substrates, training the immune system, preventing growth of harmful, pathogenic bacteria, regulating the development of the gut, producing vitamins (such as biotin and vitamin K) for the host, and producing hormones to direct the host to store fats. Although the positive relationship between gut flora and the human body, there are certain situations and conditions that bacteria can cause infections, disease, and even cancer. Creating an environment that nurtures the trillions of beneficial microbes in our gut and, at the same time, protects us against invasion by food-borne pathogens is a challenge. A study published on August 8 in PLOS Pathogens reveals the role of a key player in this balancing act. SIGIRR is a protein present at the surface of the cells that line the gut that dampens the innate (non-specific) immune response of these cells to bacteria. The new study, led by Xiaoxia Li (from the Lerner Research Institute in Cleveland, USA) and Bruce Vallance (from BC's Childrens' Hospital and the University of British Columbia in Vancouver, Canada), now shows that SIGIRR function in mice (and presumably also in humans) is necessary to protect the gut against "hostile takeover" by bacteria that cause serious food poisoning and bowel inflammation. Examining the underlying mechanism, the researchers looked at the beneficial microbes that normally reside in the gut. Often, these can delay or even prevent pathogens from infecting the gut by competing for space and nutrients, in a process called "colonization resistance". Consistent with this role, the exaggerated antimicrobial responses triggered by the pathogens in the absence of Sigirr caused a rapid and dramatic loss of beneficial microbes from the infected gut. This depletion seems to reduce the ability of the resident good bugs to outcompete the invading bad ones, leaving the gut highly vulnerable to colonization by the toxic pathogens. The researchers conclude "Our results suggest our immune system really isn't very good at preventing food-borne infections, and, through evolution, we have come to rely on our gut microbiota to protect us from many pathogens. If we disrupt this mutualistic relationship (for example, with antibiotics), we leave ourselves highly susceptible to infections."